Adult Red Ninja Avengers Series I Costume By: Charades for the 2015 Costume season. 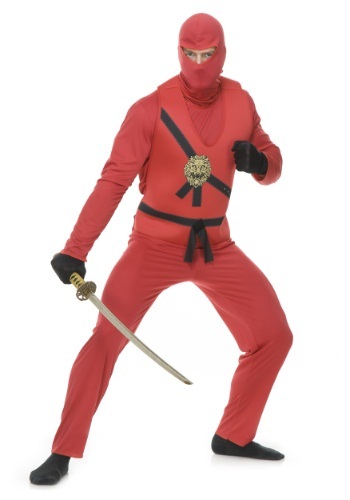 Become the ninja you've always dreamed of being, in this Adult Red Ninja Avengers Series I Costume. Or at least look like one. Unfortunately, simply putting on the costume doesn't automatically confer martial arts mastery. That, you have to WORK for. But maybe, if you look fierce enough, foes will be intimidated enough to give up without a fight. NOTE: gloves and toy weapon shown in photo are not included.